Today we’re releasing Home Assistant 0.86. And oh wow, this is an amazing release. First awesome thing: the Lovelace user interface, which we’ve been working on for the last 8 months, is now the default in Home Assistant. We have a lot to talk about, so we created a separate blog post just for the Lovelace release here. Next up, we’ve updated the Home Assistant demo. It’s snappier, it’s snazzier, and best of all: it contains four fully functional Lovelace user interfaces that you can play with! Change the states or go in config mode and add, edit or re-organize the cards. 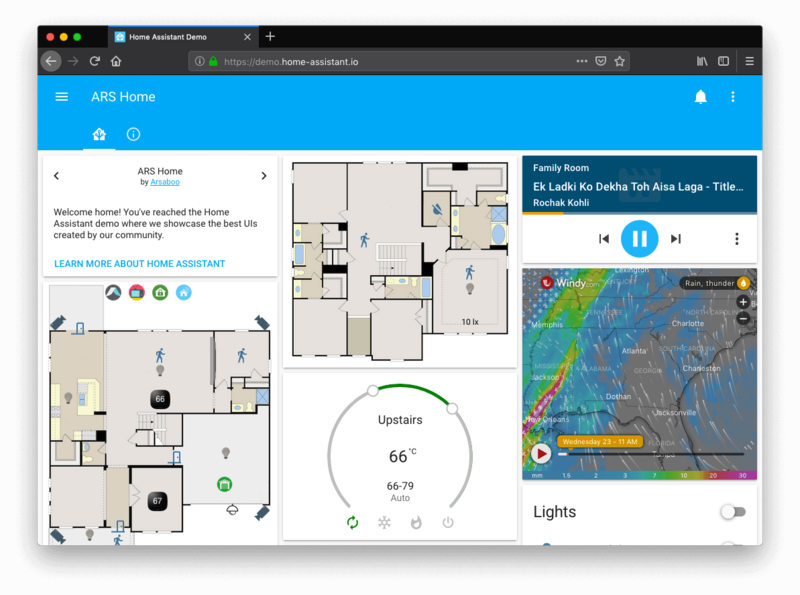 We’ve set it up in such a way now that the demo will be automatically updated with the latest release of Home Assistant, so it will always feature the latest things. Screenshot of Lovelace in the new demo. Reconfigure Node, which will rebind and reconfigure the reporting for a device. Which can help solve issues. Reading and setting cluster attributes. This is useful for viewing and setting things such as device sensitivity levels. 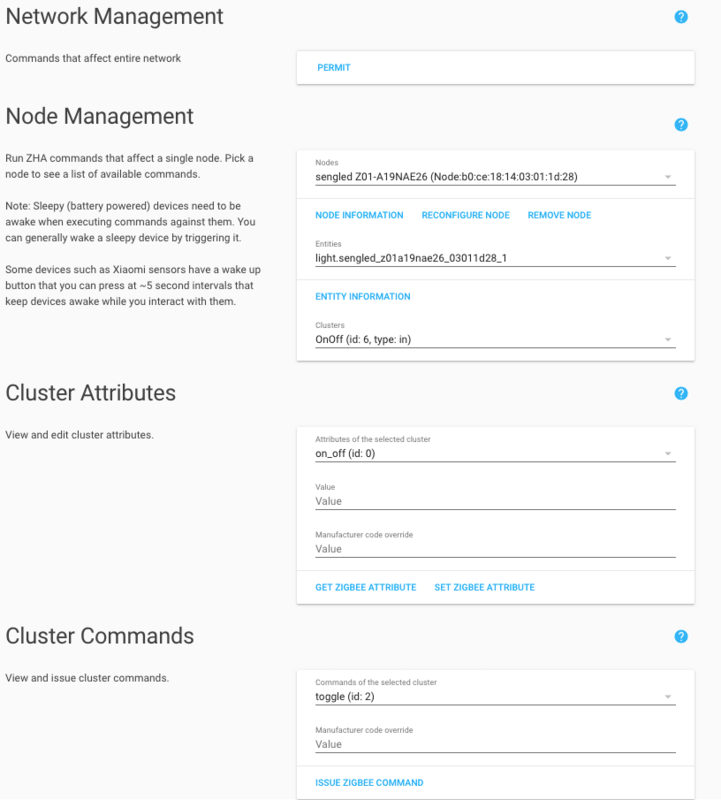 View and issue cluster commands. Note on this feature: support for commands with arguments is coming soon. The Zigbee team is also planning a bunch of cool things for 2019. Direct device binding (directly pairing remotes to lights) is already in development and they are planning support for group management as well. Targeted and broadcast joins are also right around the corner (we’re waiting for a new Zigpy release). Exciting times for Zigbee users! Screenshot of the Zigbee management panel. This release also includes two noteworthy breaking changes. One is a follow-up on the slugify breaking change from last release. We did not update the validation check for config options that need to be valid slugs. This means that some of your config values might be invalid. Keep an eye at the console as we have a new message to tell you which ones are wrong. This issue also impacts the entity registry, which could contain in some rare cases invalid entity IDs. Expect entity IDs to change if they contained a double underscore (which becomes 1) or if they started/ended in an underscore (which will be removed). Another noteworthy breaking change (sorry! ), is that the automation time trigger has been split into two: time and time_pattern. If you had a time trigger containing the keys hours, minutes or seconds, update the platform from time to time_pattern.